8021 aluminum foil is one of the products of haomei aluminium . The thickness range is 0.018mm-0.2mm, which can be controlled to 100-1650mm according to customer’s requirements. 8021 aluminum foil has excellent deep drawing performance, good resistance to electrolyte corrosion, and high heat sealing strength. It is a battery soft aluminum foil material. Due to the good extensibility of 8021 aluminum foil material, the main advantages are commonly used in deep drawing packaging materials. 1. The surface is clean, the color is uniform, there is no spot, and there is no pinhole. 2.It has excellent moisture resistance, shading and high barrier ability, strong mechanical properties, high anti-blasting performance and strong puncture and tear resistance. 3. Non-toxic and tasteless, safe and hygienic. 4. 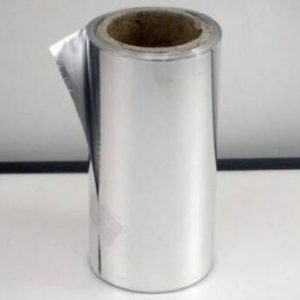 Aluminum foil after compounding, printing and coating is widely used as packaging material.